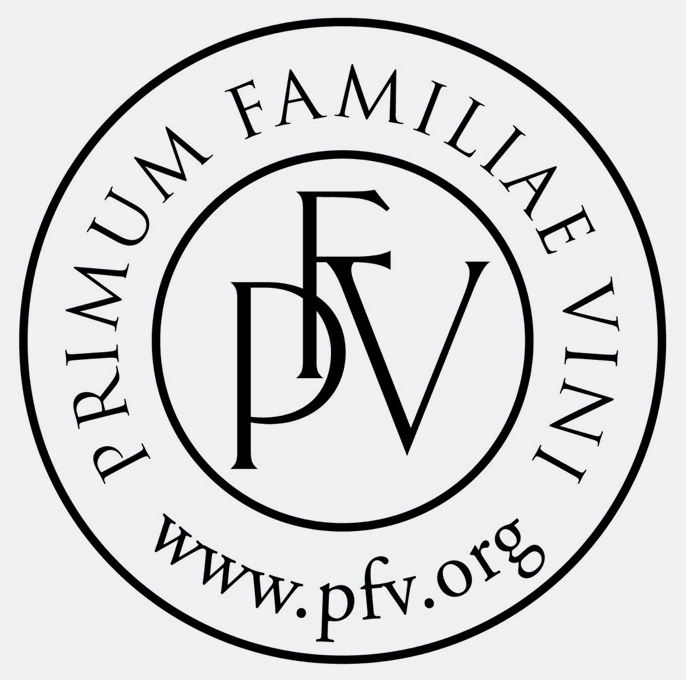 Abbreviation for "Primum Familiae Vini", a select group of family wineries. The idea gave birth in 1990 to the two wine legends Miguel Torres (* 1941) and Robert Drouhin, the foundation was then in 1993. The international association of "First families of wine" is limited to a maximum of 12 members. Each family owns vineyards, is one of the most prestigious wine producers in its region and produces wines of international renown. Each year, another member presides. A new membership is an invitation and requires the consent of all existing members. The objectives were defined in a PFV charter: promoting and defending the moral values ​​that form the backbone of family business; Exchanging information regarding viticulture and oenology and promoting the traditional methods that underline the quality of the wine and the terroir respect; Promoting temperate wine enjoyment as a cultural tradition of zest for life; Exchange useful information about all aspects of the business. The former members Mondavi (Early 2005) and Jaboulet-Aîné (Early 2006) have left because of new ownership of the circle. Since they were both sold in the meantime or are no longer in family ownership, an important condition was no longer met. At the Annual General Meeting in 2007, Hubert de Billy (Pol Roger) was elected President. The current eleven members are Antinori (Tuscany, Italy), Château de Beaucastel (Rhône, France), Château Mouton-Rothschild (Pauillac-Médoc, France), Joseph Drouhin (Burgundy, France), Egon Müller-Scharzhof (Moselle, Germany), Hugel et Fils (Alsace, France), Pol Roger (Champagne, France), Sassicaia (Tuscany, Italy), Symington (Porto, Portugal), Torres (Penedès, Spain) and Vega Sicilia (Ribera del Duero, Spain). This page was last modified at 12 September 2018 at 16:02.